Last year I had my first DrupalCon experience after three DrupalCamps. This event was DrupalCon Vienna and it was also the last one in Europe. In future it will only take place in North America because it does work better across the pond so far. Firstly, Nashville has been a great place, not only because of being the capital of country music. 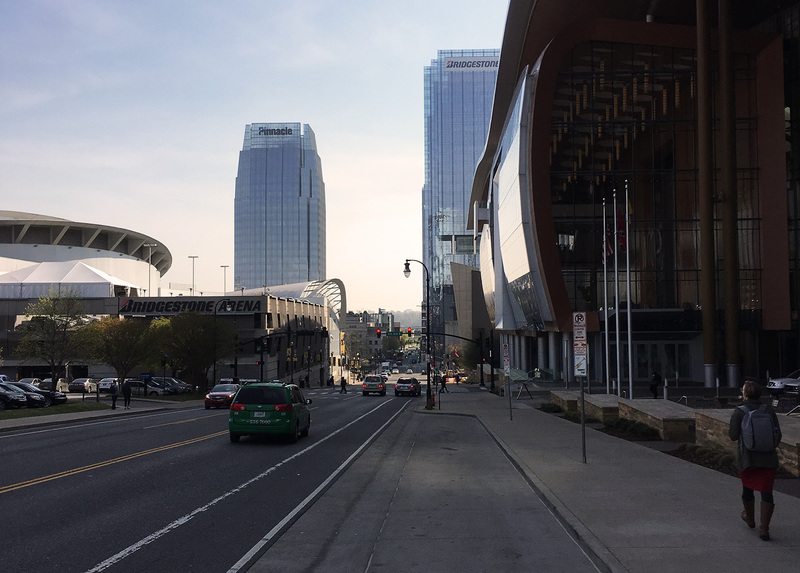 The venue of the Drupalcon, the Music City Center, turned out to be a surprise. Because this impressive building is located in Downtown Nashville directly in front of the Bridgestone Arena of the native NHL hockey team, the Predators. For me as a former hockey player it couldn’t have been a better place. During the DrupalCon week there have been the first play-off game of the Predators against the Colorado Avalanches. Sadly, they have been eliminated in the second round after winning the first series. But not so DrupalCon! It has won the face-off! ;) After vacation and some time returning to my work I finally found the time for a recap. The first memorably highlight was the Driesnote by Dries Buytaert. He pointed out what is crucial for Drupal to sustain as a relevant open source software for digital experiences. I was excited because I got the feeling that Drupal is entering a new stage: It needs to improve its technical evaluation process (fostering better documentation and a shorter and easier try-out-adoption), its content creator experience (more drag and drop interactions), its site building experience (configuration management for more use cases, improved relationship between composer and drupal core and longer grace periods between required updates) and a better promotion to non-technical decision makers. That means there are a lot of enhancements coming or have already started its adoption which we will see and face soon (for example a new admin theme). As Drupal 8 has been a major overhaul compared to the previous major releases breaking some habits of Drupal developers. There have been a lot of rumours that Drupal has lost its momentum. But Dries showed stats that this isn’t true. In the last year Drupal 8 sites have grown by impressive 51% (from 159.000 in April 2017 to 241.000 sites in April 2018). And 81% more Drupal 8 Module become stable now (1.860 stable modules and 5.076 under development). I am really impressed how Drupal is trying to keep the pace even for the community. Dries has illustrated how Drupal is a role model as an open source community and how it can be fostered forward. Its values have been evolved in the last 17 years and been passed by word of mouth. He recognized that there is a need to capture these values as a guide for Drupal culture and behaviors. This has been been condensed into the new about section page for values & principles on www.drupal.org as a first starting point. 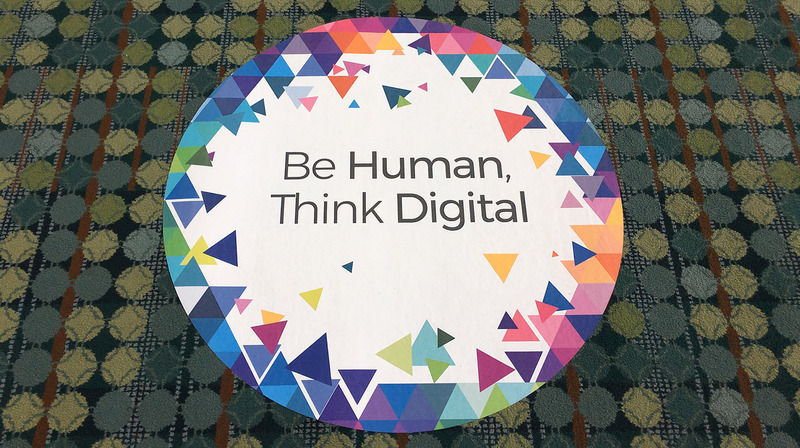 The sessions I was attending have been a topic mix of accessibility, testing, performance, hosting, site building, frontend engineering, image processing, content auditing, special views and digital experiences outside from classic websites. Sadly, there have been so many good sessions at the same time and it has been a greater challenge to decide which you will read further below. The keynotes were very interesting and outstanding. 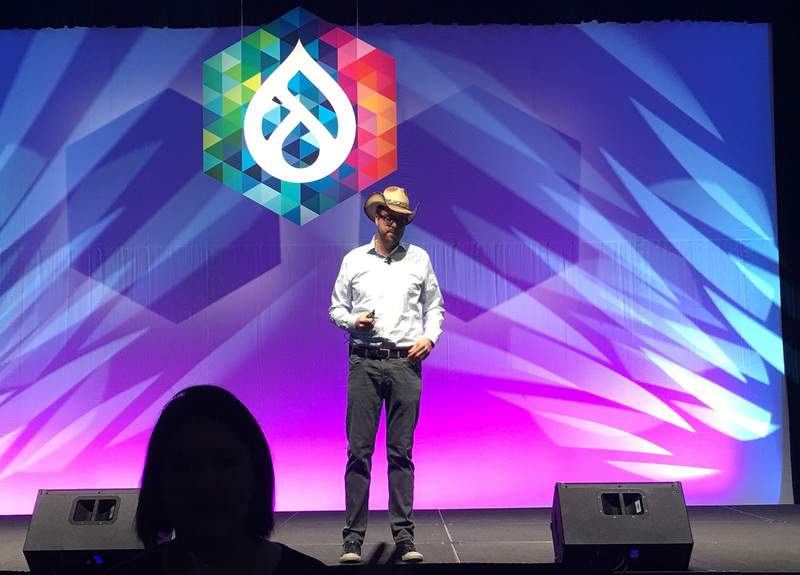 Steve Francia told about how Drupal has helped him achieve an incredible open source career. His name is strongly bound to Open Source Software like MongoDB, Docker, Go, Hugo, spf13-vim and Cobra. It was great to see which challenges in all fields of life even in illness he did face in the past and that he never forgot his roots in Drupal. Emily Rose, a developer advocate at Twitch, gave a strong future oriented keynote how people could potentially become cyborgs with unprecedented access to information and communication and which possibilities and challenges we might face morally and ethically. For me it was very interesting because I have already been dealing with this topic for years. Because some people with disabilities are the first real cyborgs and therefore I know the difference if you are forced to get a implant or not. Nonetheless, this view gave me another insight on how people like Emily Rose are seeing this. In the field of Accessibility I could see that there is a cultural difference between Europe and North America. The term of inclusion is more used in the US than in Europe and is also used rather different in its meaning. The reason could be grounded by the effects of ADA (Anti-Discrimination-Agenda of the United States) with its strong sense for diversity. On the other hand the used narrative of accessibility could be more inclusive for the audience and brought in a broader sense in general. It sounds too much like a special service for disabled people although there are incredible great efforts made or still in the making by great people. Hey, I think they have deserved a bigger stage! Nonetheless, I can highlight the session about accessibility testing by Everett Zufelt which has been very informative about how he sees machine learning as possibility to solve accessibility issues in the future. There is also to mention the session “Inclusive Mindsets” by Mike Miles which had some similarities to my talk in Vienna. Performance is the key challenge today for the digital experience brought by Drupal. Estee Lauder showed how they are de-jquerying their global platforms which turns out that they are in a conversion process to a react frontend and Typescript. React has gained a lot of momentum in the community, therefore I have been curious to see a building example: Brian Perry show how to build a react music discovery app with Drupal. Performance engineering has got a broad spectrum in general now. It begins with hosting where Pantheon gave insights how the use of CDN (Content Delivery Networks) is best for HTTP/2 to reduce the amount of Round Trips and TTFB-latency (Time to first byte) which is used by pageranks. Mike Carper showed how we can improve our Drupal sites to get the best for Google Pagespeed and what we can do additionally to the Advanced CSS/JS Aggregation Module, especially how to create a critical path CSS for every page or enhancing the image optimization in Drupal. There have been given some great tips how to get good results. In order to improve image performance, Abby Milberg presented possibilities how to use images in a more advanced manner. Sometimes you have special use cases in presenting images where you need to write some code to get the desired results. Even for gaining good results in frontend performance, you also need to reduce the frontend codebase. Kendall Totten and Cassondra Roberts from Redhat have been sharing their approach developed in 3 years to turn design system mockups into a performing frontend by identifying the patterns. Beyond the frontend I have been attending more backend related sessions. Mike Madison gave some insights on how to use Drupal as a data pipeline for digital signage. It turned out to be signage output for public traffic information. And even there is a matter of performance to update the information. The last session before the closing session has been about views and how to enhance it for special use cases. To summarize my session insights, Drupal is moving forward to become a data model system with a wide range of API for tailoring different digital experiences where performance is most critical. Even if Drupal as a community is trying really hard to become as inclusive as possible, for me as a deaf developer it was a bit of a challenge. DrupalCon is a very large event! In Nashville I had the feeling that it has been twice the size compared to Vienna. With 14 sessions at the same time I had to decide and plan which sessions I wanted to see before flying to the other side of the earth. Not only because of the size but also to give the sign language interpreters (special service) some preparation and guide. To my surprise, it turned out that I was not the only deaf attendee there as I have been in Vienna. I had to share the interpreter with my new friend from the Smithsonian Institute in Washington D.C. and together we had to make a new session plan every day as far as possible. That meant that we had to compromise but we found a good way. Despite of this it has enriched my Drupalcon experience. He told me that he has already been attending DrupalCons for ten years and has never met another deaf developer until we met in Nashville. We had a great time together talking in sign language and sharing our experiences even if the organisation of the interpreting service was not what we expected. The responsible event management of DrupalCon was not fully aware of the difference between the sign language interpreting business and the spoken language one. Ok, this was not perfect but I am sure it will be a matter to learn from. Maybe there has been a lack of experience in general. I’m trying to share this story for all future events. This could be also relevant for the new Drupal Europe as replacement for the DrupalCons in Europe which will take place in Darmstadt, Germany, for the first time this fall. Facing challenges and finding solutions this is and has always been the Drupal way from where its values do evolve. Nonetheless, we never got the feeling of being ignored. They tried best of the situation. Therefore we took part in the Trivia Night without any communication barriers after we had to get through half a day with communication barriers on the last session day. Inclusion does always start minor and could have an major impact, which in future could turn into a recognised part of the Drupal Culture. That’s real inclusion, there are always possibilities to find a way. I have to thank Amanda Gonser who asked me to come to Nashville. 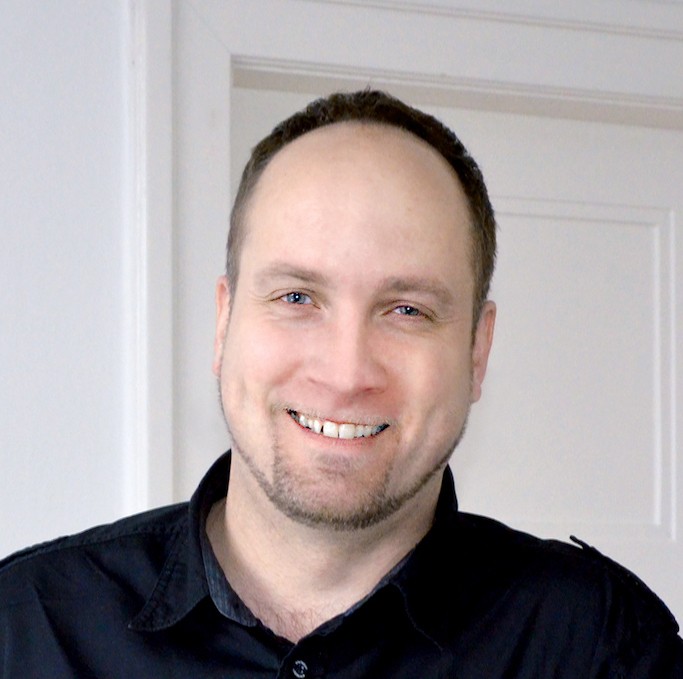 Jo Spelbrink is Developer at Zensations and he is so far an Accessibility-Jedi fighting for better frontend and UX.